Large mid-season white grape. 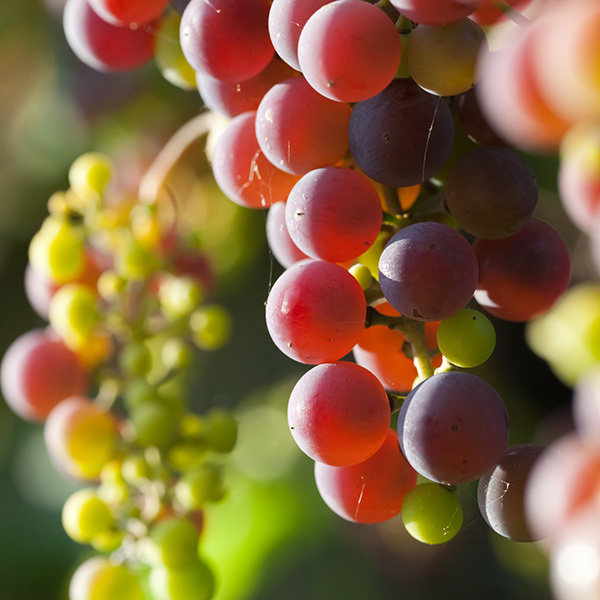 Floavor is sweet with a slight Muscat flavor when the fruit is very ripe and exposed to light. Dark red table grape, sweet, crisp excellent fresh or for raisins. Ripens after Thompson, requires some summer heat. This is the mot popular green table grape in Calif. and Arizona. Fresh and good for raisin, very sweet, clusters for large grapes. A large, blue-black seedless grape. Flavor is wonderful sweet fruitiness with a suggestion of Muscat. Perhaps the world’s most versatile wine grape.